Amrish Puri, the famous Bollywood actor, died today at 72. Puri had roles in over 200 movies, but was always best known for the villian he played in Indiana Jones and the Temple of Doom. After being convinced to shave his head for this role, he kept it shaved throughout most of his career. This look led him to be known as one of the most popular villians in Bollywood films. 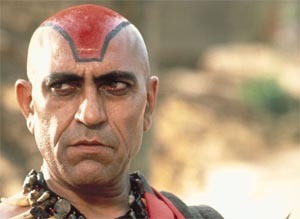 "Amrish Puri" by Jeremy Felt, unless otherwise expressly stated, is licensed under a CC BY-SA 4.0 International License.